Manipal Institute of Technology is inviting the applicants for admission to its B.Tech, B. tech - Lateral entry, M. Tech, MSc and MCA programs offered for different streams. The candidates seeking admission into these programmes need to appear in the Manipal University Online Entrance Test (MU OET). The admission to Manipal University is done on the basis of scores obtained by the candidates in the admission test. Manipal Institute of Technology is a constituent institution of Manipal Academy of Higher Education that specializes in the fields of engineering and technology. MIT offers undergraduate, graduate and doctoral degree programs and there are 16 academic departments in it. It was established in 1957 in Manipal, Karnataka, India. Manipal Institute of Technology is one of the first self-financed colleges in India. Manipal Institute of Technology Entrance Exam 2018 will be conducted through online mode. 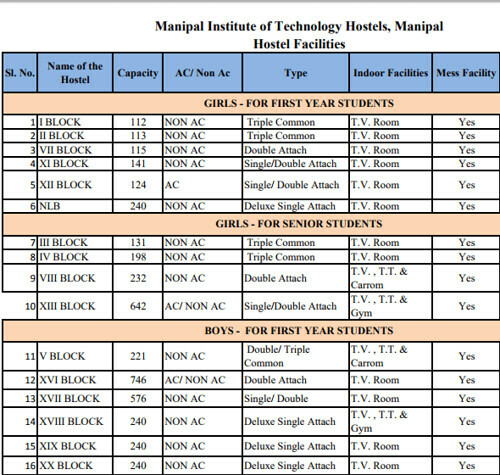 This page gives the details about the Manipal Institute of Technology eligibility, application process, selection, fee, placement, hostel facilities etc. Manipal Institute of Technology offers admission in 17 streams under B.Tech course. The names of streams are mentioned in the table below. MIT offers 24 streams of study at the M.Tech level. Nationality-The candidate should have the citizenship Indian Nationals. Age: There is no minimum age requirement to appear in the entrance test conducted by Manipal University. 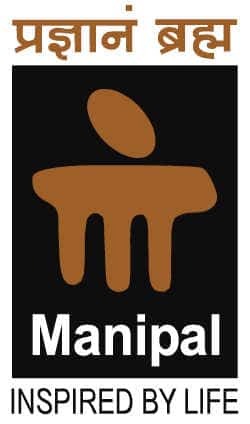 Candidates must have passed in 10+2, A level, IB, Americal 12th grade or equivalent to become eligible to get admission into Manipal Institute of Technology for BTech Admission. The applicant must have passed 10+2 or Equivalent examination with Physics, Mathematics, and English as compulsory subjects along with Chemistry or Biotechnology or Biology or any technical vocational subjects as optional. The candidate must have scored a minimum of 50% marks taken together in Physics, Mathematics and any one of the optional subjects. For foreign/NRI candidates, admission is done on the basis of marks obtained in the qualifying examination. To take admission in Manipal University, candidates need to appear for the entrance exam. For this purpose, first of all, they need to fill the online application form. The link to fill the application form is available on this page below. The candidates are suggested to fill the form on or before the due date i.e. 26 March 2018. To complete the application process, the candidates need to pay the application fee of Rs 2,000 through Credit/ Debit card or Net Banking. The candidates can also make the payment of the application fee through Demand Draft. The fee amount for the Indian Nationals and NRI/ Foreign category is given in the table below. Here we are not giving the detailed fee structure. It is just the range of the course fee so that candidates can get an idea of the total amount of money that they need to spend for the whole program. However, the fee for different specialisations that is categorised here will be different. We are giving the detailed fee structure for the B. Tech Programme. For General Category candidates admissions are done on the basis of rank in the All India Manipal Online Entrance Test (MU-OET) 2018. For Foreign/NRI Category candidates admissions are done on the basis of marks obtained in the qualifying examination. Being at the 5th position in top private colleges, MIT has always been known for its excellent placement records. All the statistics give the example of Satya Nadella taking over as Microsoft CEO, and Rajeev Suri walking into the global boardroom, as CEO of Finnish telecommunication giant Nokia. But not everybody has the same success story. The placements record also depend on the calibre and hard work of the students. Their UGC approved programs help the students to accelerate their career and find greater opportunities. Some of the top companies have the tie-up with MIT and they come regularly to recruit students. The institute has a well-organized placement team headed by the Associate Director and comprised of faculty and student coordinators from each department. More than 125 recruiting teams visit MIT Manipal for UG & PG campus placements & internship recruitment every year. 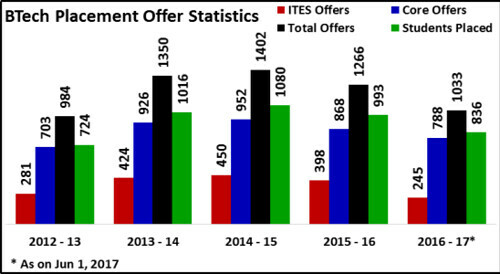 There is almost a cent percent Placement offered by the Institute regardless of the branch in which student is studying, they get enough opportunity during the Placement drives. Here we are giving the highlights of the last year recruitment event. Here girls and boys have separate blocks, they don’t share the same block and each block has a fixed capacity. Students can choose from a range of accommodation options for their convenience. For first-year students, for instance, the double or triple common dorm-type accommodation gives them the comfort of the company as they settle into their college and course because it gives them the opportunity to make friends and get used of that new hostel life. In this kind of accommodation, they have access to TV room and other leisure/sports activities within the hostel premises. Students get a lot of options to choose from, and there are several different messes across the campus. There is also a mess within the campus for pure vegetarians too and the food court is always there, where students can have the food on the daily menu or get an item of their choice. There are in total 16 hostels in the campus having all the required facilities in which 3 are AC Hostels and others are Non Ac hostels.